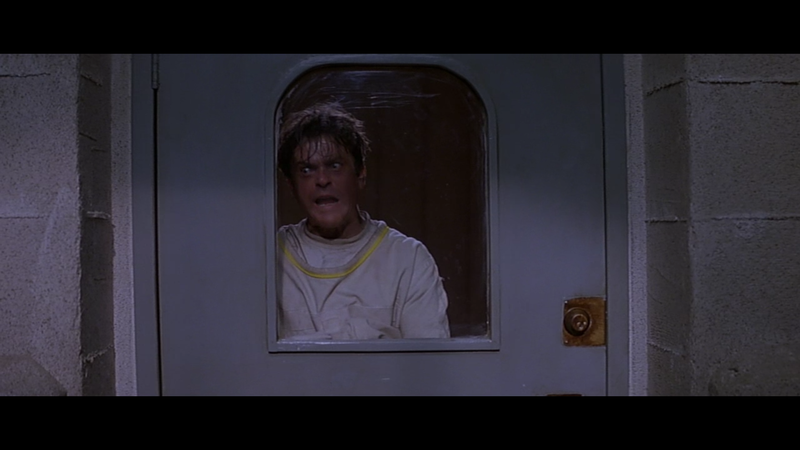 In the Mouth of Madness is one of my favourite movies. It’s also the best Lovecraftian horror movie made thus far, despite (or perhaps due to) not being based directly on any of Lovecraft’s work. The tone, however, is very much Lovecraftian. Indescribable horrors from beyond are gaining entry to our world through the stories of a popular horror writer. Gradually the characters find it more and more difficult to separate fiction from reality, until the line disappears completely. This is a movie I keep watching over and over again, and enjoying every time. I wouldn’t be too surprised if it turned out that my watching of it was a form of unholy prayer, and that one day I managed to summon ancient abominations through my TV. Until then though, I’ll keep enjoying Sam Neill going slowly mad. This entry was posted in Movies and tagged halloween, HHMMS2013, horror, in the mouth of madness, lovecraft. Bookmark the permalink.